A centre of excellence to support people with acquired brain injuries, complex and extra care needs. 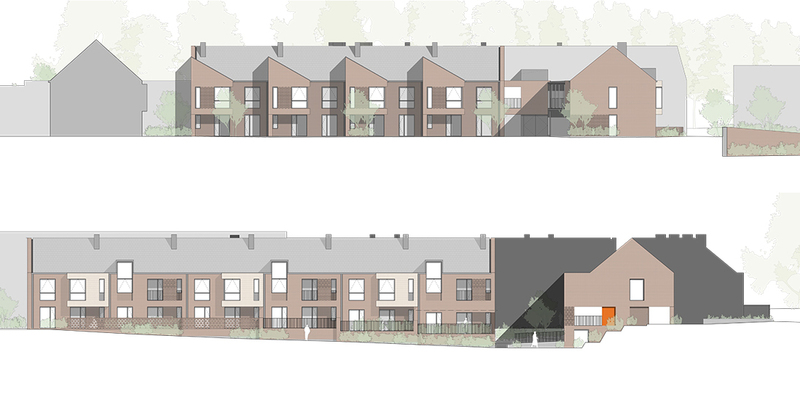 Design Engine were selected in competition from a shortlist of six practices to design the new Cedar Park estate for Enham Trust which is based at Enham Alamein near Andover, Hampshire. The project will deliver a centre of excellence to support people with acquired brain injuries, complex and extra care needs, and an even wider choice of temporary and permanent homes for disabled people. In addition there will be a new health and well-being centre, restaurant and meeting spaces. Design Engine also designed Enham Trust’s first town centre housing development, Bradbury Place, which consists of eight wheelchair accessible homes in Andover, giving residents the opportunity to live independently with easy access to amenities and work opportunities and are currently working with the charity on accessible housing projects on two infill sites within the wider village of Enham Alamein.